As I write this year’s New Year Message, there are just under 100 days before we leave the European Union, and, based on events over recent days, there is no telling what might happen over the coming hours, let alone days or weeks in terms of Brexit, the UK Government or decisions which might or might not be taken by Parliament or the people. Like others, farmers are becoming tired of hearing about Brexit, while also becoming increasingly worried and frustrated as we watch the clock tick down towards March 29 2019, and possible scenarios that would be disastrous not only for farming, but our economy as a whole. As the FUW has said repeatedly, no responsible UK Government would allow us to leave the European Union without a deal, and it was no surprise therefore that FUW county and committee chairmen unanimously supported a proposed amendment to the UK Government’s motion in support of their EU withdrawal package which would effectively prevent the UK leaving the EU without a deal. Within days of our decision to support that amendment, which was tabled by former DEFRA minister Hilary Benn, I was in the House of Commons listening first hand to the Prime Minister’s announcement that the long anticipated ‘meaningful vote’ on the withdrawal deal was to be postponed until late January. Watching this, and the political shenanigans, maneuverings and implosions that have followed, has increased my concerns that the worst case scenario of a no-deal Brexit could happen almost by accident, despite all but the most reckless MPs recognising the disaster that would follow - not least for those who will be lambing over the coming weeks and months whose prices will be slashed if we lose access to the EU market after March. The Brexit referendum has turned pre-existing divisions into gaping wounds that threaten to permanently split not only political parties but the entire nation, and while increasing numbers support the notion that a second referendum is the only way to solve the political gridlock, the degree to which this could add to divisions has to be recognised. 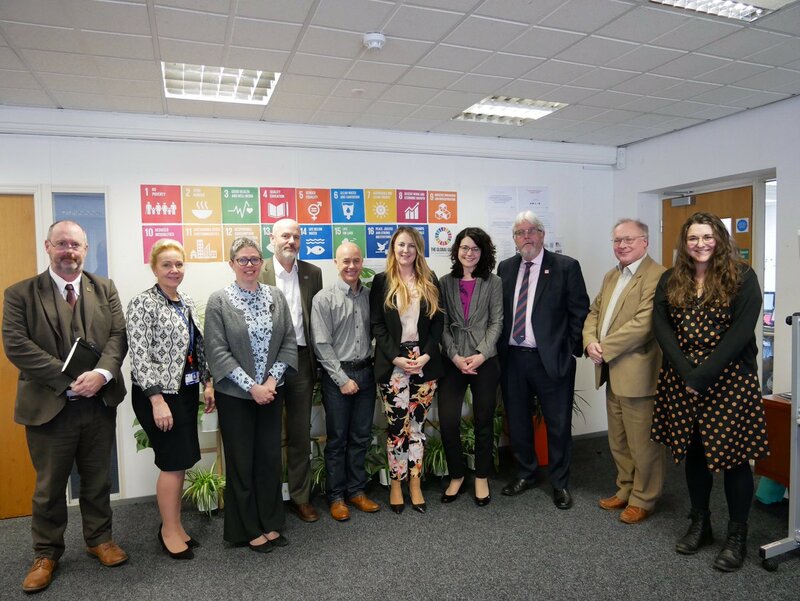 Despite such deeply disturbing prospects, over recent weeks I have been heartened after meeting politicians from across the political spectrum who, despite political differences, are working together to seek solutions and common ground in order to minimise the dangers we now face. Indeed, it was the cross-party support received by Hilary Benn’s proposed amendment already referred to that galvanised FUW support for his proposal. I wouldn’t describe such cooperation as a Star of Bethlehem quite yet, but it is certainly a glimmer of hope, and by the time this article is published perhaps the good will of the Christmas Season and some sensible New Year’s resolutions will mean we are starting to move away from the cliff edge. With all that is going on, and total uncertainty as to what will happen over the coming weeks, let alone on March 29, making predictions for the coming year seems futile. However, we can certainly learn lessons based on what has happened since June 2016: Whatever an individual’s view on Brexit, no one would deny that the negotiations, preparations and transition represent a monumental amount of additional work for Government. For UK Government departments such as Defra, the additional workload has been vast, and despite taking on an additional 1,400 members of staff, the National Audit Office have highlighted risks that the department will not come close to undertaking all the necessary Brexit preparation work before April. While the Welsh Government does not share the breadth of responsibilities of Defra, the additional and unavoidable workload caused by Brexit is significant across all departments. Given such additional necessary workloads, whether in Whitehall, Westminster, Cathays Park or Cardiff Bay, the logic of ensuring no additional unnecessary work-streams are created seems self evident - yet in relation to agricultural policies, quite the opposite has happened, with radical proposed changes to farm support and environmental measures adding not only to existing workloads for civil servants, but also uncertainty and worry for farmers. Such proposals and additional work demands additional political scrutiny by committees in Cardiff Bay and Westminster - committees that should really be focussed on scrutinising the essential work being undertaken in relation to Brexit, rather than mulling over radical proposals such as those contained in the UK Government’s Agriculture Bill and the consultations launched in England and Wales. And of course, legislation and proposals which have been poorly scrutinised due to other priorities makes for bad law. Not only were such warnings not heeded, but what looks very much like desperate opportunism in anticipation of being unshackled from EU regulations has added significantly and unnecessary to workloads already at breaking point - not to mention additional worries and uncertainty for farmers already about to enter choppy if not stormy waters. Let us hope that 2019 brings some calm after the recent political storm, and some common sense to boot. But it’s not just governments that have been under strain: the union staff has had to ride an extra wave of effort to deal with the issues created by Brexit. There are more government-driven “stakeholder” group meetings now that I can ever recall. All our county offices have truly embraced the challenge of ensuring that Assembly Members and MPs are aware of concerns for the future of agriculture. 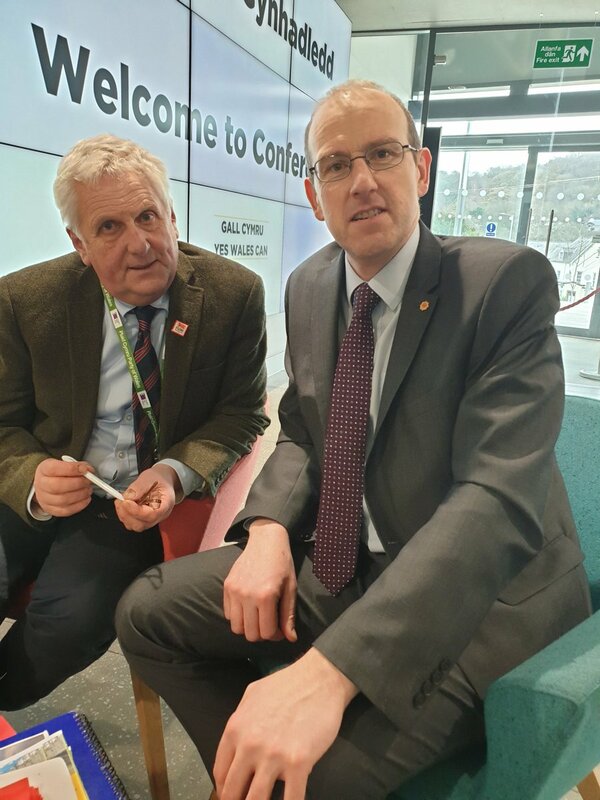 They also played a tremendous part in briefing members on the Welsh Government’s consultation “Brexit and our Land” that enabled us to gain responses from over 2,000 members. I, therefore, must say a big “Thank you” to all our staff for rising to the challenges. Our messages have been communicated consistently and often and without doubt, they have been heard. It was, after all, our #FairFarmFunding campaign that secured a commitment from the UK Government about the future funding arrangements for agriculture post Brexit. I can assure you all that I am very proud of those efforts. It’s been a tough year, but hopefully, the tough times will not last much longer. But we should take comfort in knowing that tough people WILL last long and together we are definitely in a strong place. Created on 20 December 2018 . 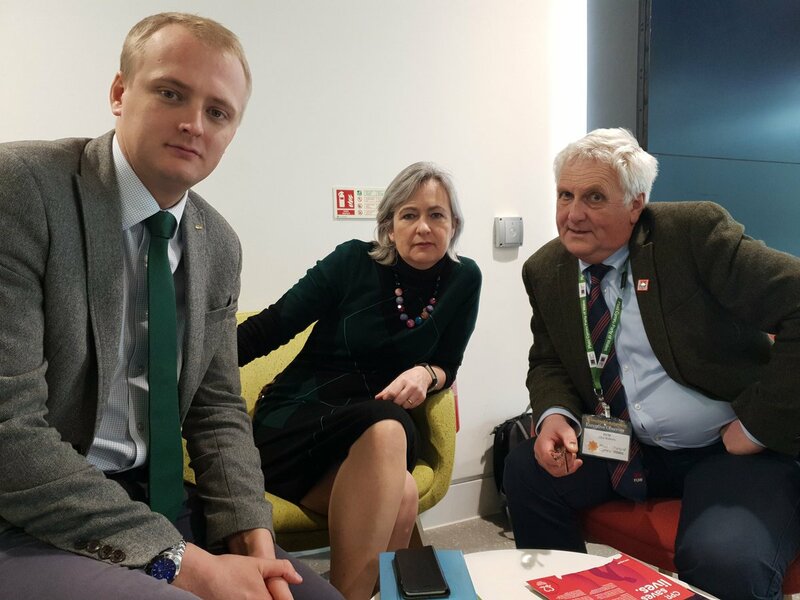 The challenge of Brexit was the main discussion point when The President @glyndylasau met @LSRPlaid & @BenMLake earlier today. Revocation of A50 & other options analysed. Next week vital to #farmingmatters. 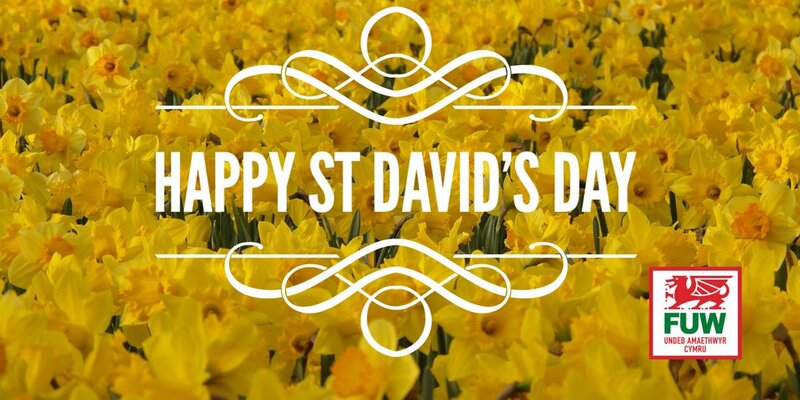 Wishing you all a very happy #StDavidsDay ! 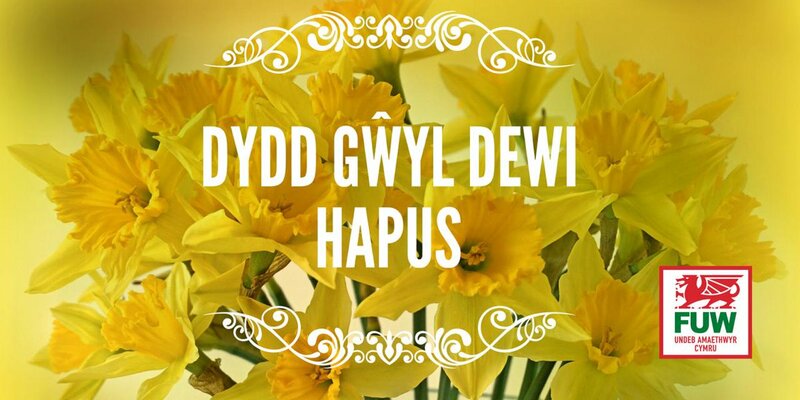 Eat Welsh lamb and beef - help save the planet ! Please use this tool to find your elected local representatives, after which you will be able to select who to send a message to by email about why #FarmingMatters.